Partly because of the W1, the earbuds feature a battery life up to 12 hours. Like the over-the-ear Solo3 Wireless, a "Fast Fuel" feature offers a basic charge in five minutes —in this case lasting an hour versus the Solo3's three hours. The W1 chip should enable easier pairing with Apple devices, and much greater range, thanks to its use of Class 1 Bluetooth. Informal testing of the Solo3 Wireless found that it can be used up to a distance of 400 feet —in any case Class 1 devices can officially manage 328 feet, much farther than the 33 feet most Bluetooth products support. 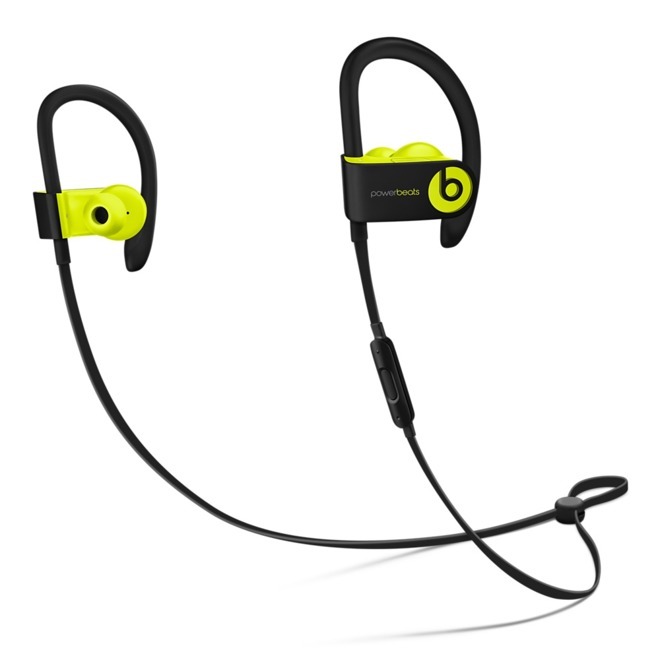 At the moment, the Powerbeats3 Wireless can be pre-ordered from B&H for $198.46 with free expedited shipping and no tax outside NY, offering shoppers the lowest price available from an Apple authorized reseller. They can also be ordered on Apple's website for $199.95. Black, white, yellow, blue, and red colors are available at Apple —while most options are shipping between Nov. 1 and 3, some deliveries may already be taking 2 to 3 weeks.